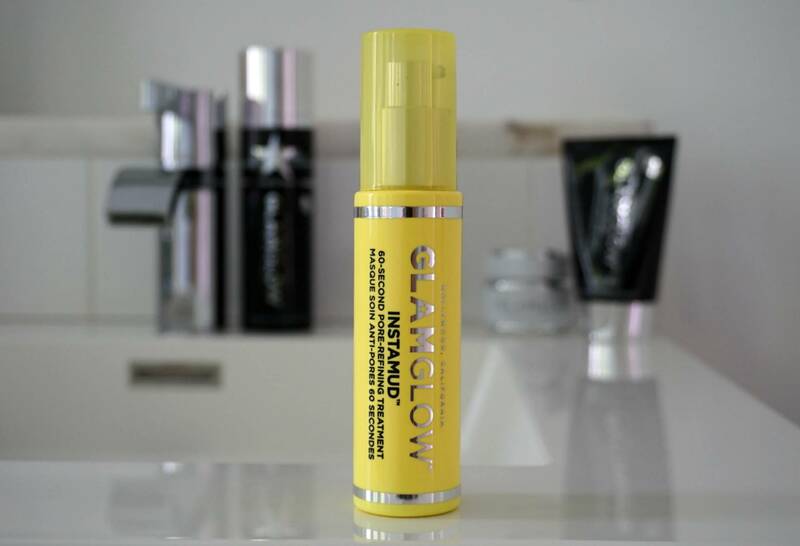 After two years of lip balms, moisturizers, cleanser upgrades, and countless limited editions of Gravitymud, Glamglow launched Instamud last week, expanding on my all time favorite category. 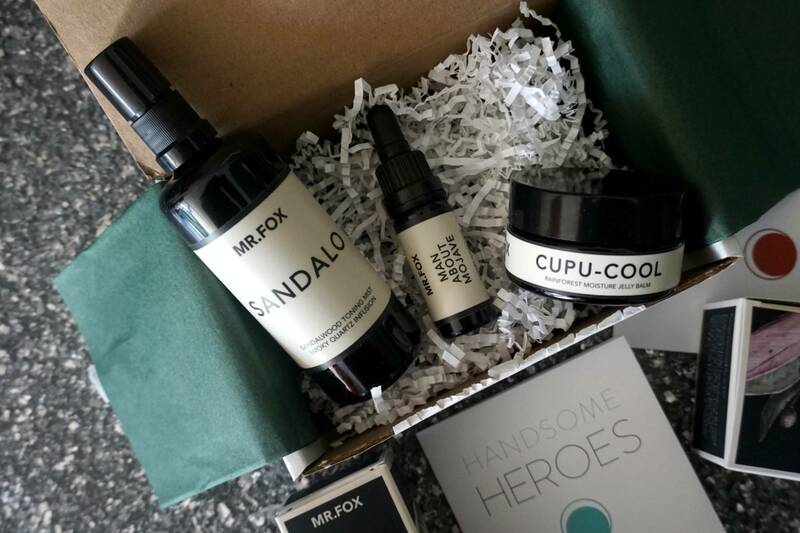 Beyond enthusiastic about the brand’s iconic OG, Youthmud, I immediately felt compelled to incorporate this new addition into the ever growing (and revolving) arsenal of pore-refining potions. 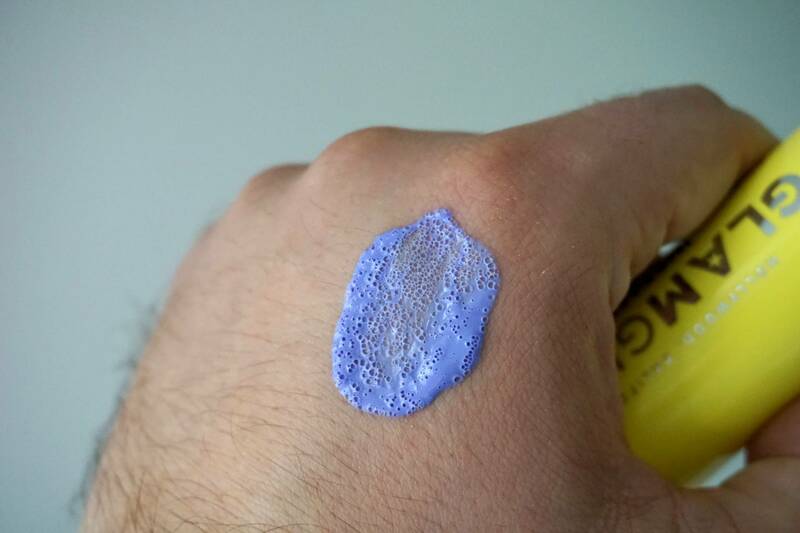 The lotion-like consistency is almost runny and has a gorgeous purple hue. 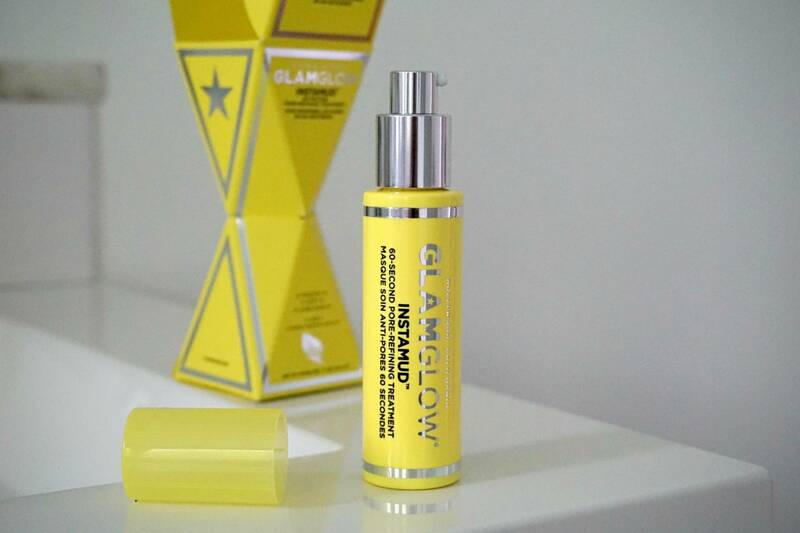 It glides on cleansed dry skin and develops micro-bubbling action immediately upon application. As the bubbles turn into fluffy foam, Instamud aims to energize dull complexions while refining the look of enlarged pores and an uneven tone. The best part? It only takes a minute. After sixty seconds, the oxygenation tapers down, which gives you the green light to rinse and proceed with the remainder of your skincare routine. Unlike traditional mud masks, Instamud’s liquigel texture dries soft without flaking off or pulling on the skin. The unique delivery system provides a deep clean feel and leaves the skin soft and hydrated. As someone who regularly battles pore congestion, I’ve noticed my T-zone appearing tighter and significantly smoother. Fueled by a combination of Bentonite, Kaolin, Aloe Vera, Witch Hazel, Apple Extract, Niacinamide, and Sodium Hyaluronate, Instamud is a quicker, very focused express treatment that fits extremely busy morning routines. The patented TEOXI™ technology features Aloe Leaf this time but unlike prior Glamglow mud masks, the latest omits any hint of tropical aroma. 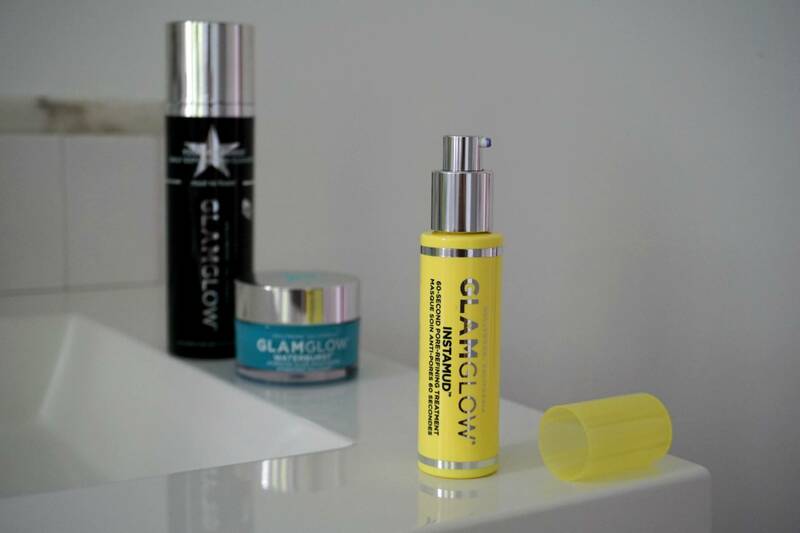 I’ve been an avid follower of the Glamglow expansion over the years. My all time favorites are still the Youthmud and Supermud. 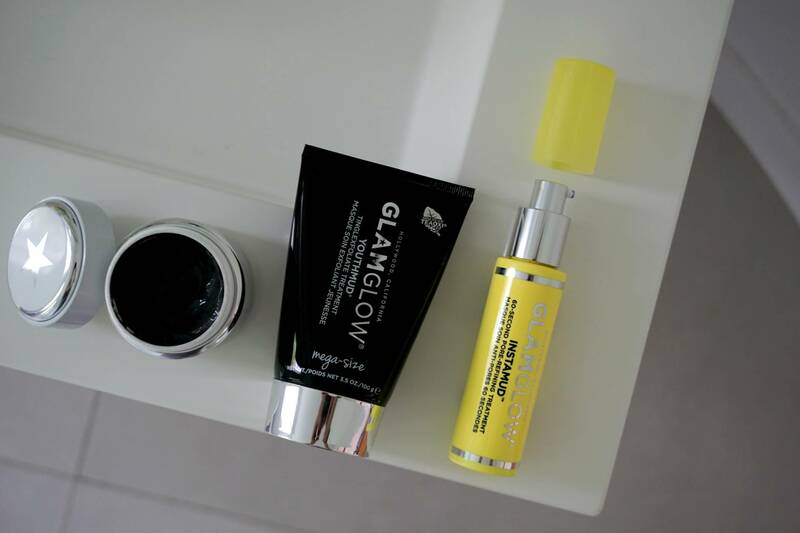 Both help purify and brighten my combination skin without fail. 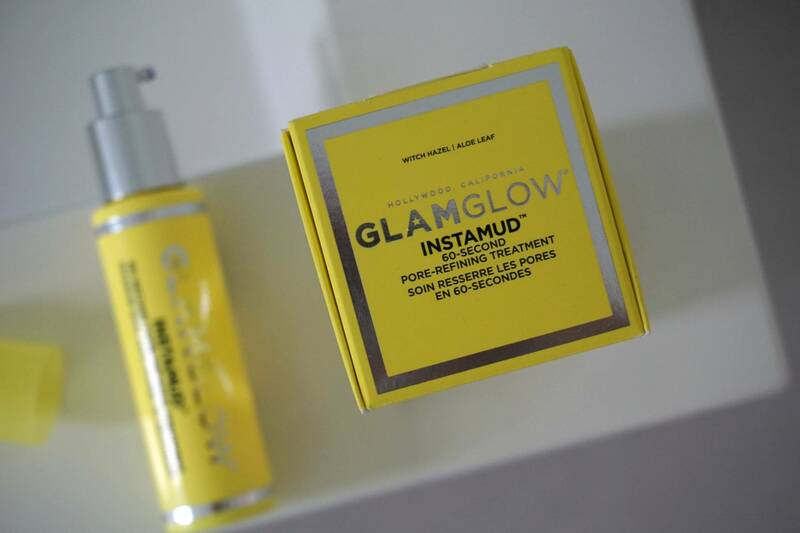 Instamud is a gentler, definitely more instant solution for those who literally only have a minute to spare while getting ready for the day. 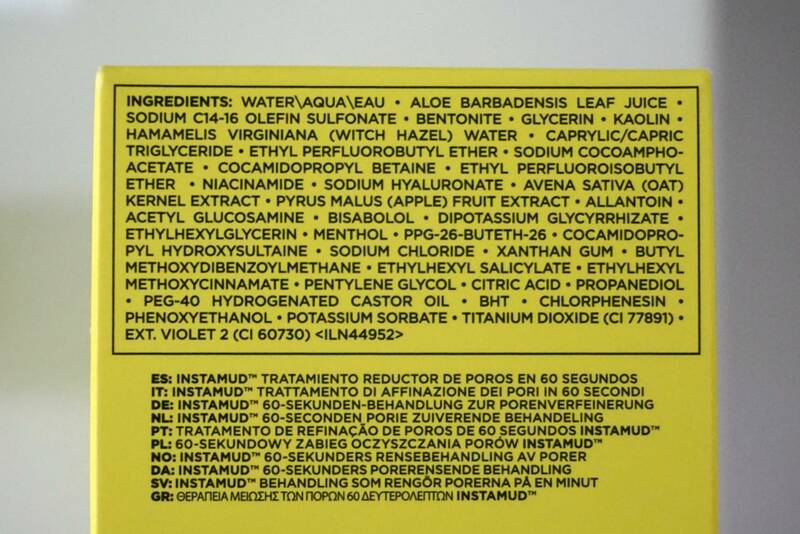 I am enjoying Instamud very much but have achieved more dramatic results with the Activated Charcoal and multi acid blend in Supermud or with the botanical medley that tinglexfoliates in Youthmud. For those who prefer a non-drying mask or simply neither have the time nor patience to add a step to their morning routine, Instamud is definitely worth checking out. Smart move, too on the attractive price point.